Masego, is an African-American musician who was born in Jamaica with South African heritage. 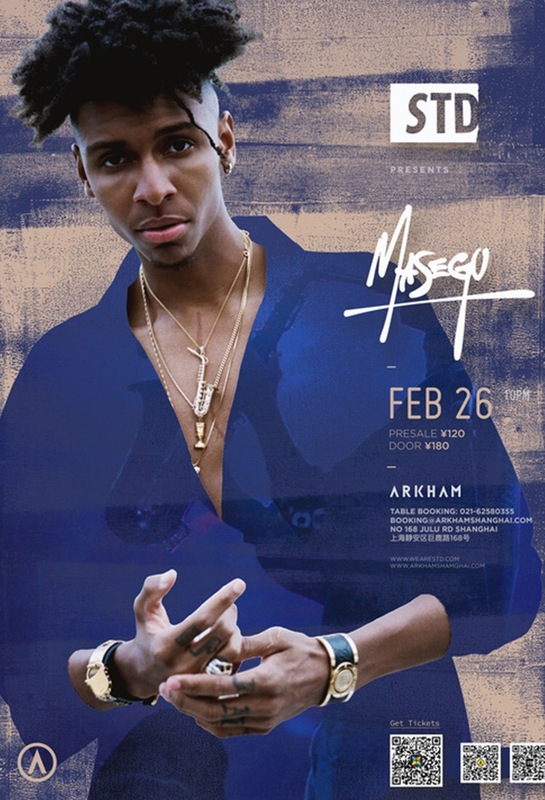 Masego is an international, contemporary genre-bending entertainer who refers to his own music style as "TrapHouseJazz" or Emotion. His collaborative record “Tadow” has amassed over 85 million views on YouTube. His record Navajo, first premiered by Berlin platform “Colors”, has been streamed over 20 million times, triggering a worldwide sold out tour. 180rmb on the door, or 120rmb pre-sale.